To mark the start of spring, City of Trees, the RSPB and Manchester City Council have launched feeds of a nestbox and bird feeding station live from Chorlton Water Park. We aim to celebrate the importance of our urban trees and woods for our feathered friends with the hope to both protect and preserve our existing green spaces, as well as creating more. Since 1974 a third of all woodland bird species have declined including bullfinches, song thrushes, dunnocks and goldcrests. This is why our work here at City of Trees is crucial in helping to provide essential habitat for birds, as well as other creatures and insects. To date the City of Trees movement has planted nearly 460,0000 trees. Play a part by planting trees or shrubs at home! We can all help to create more habitat for birds and wildlife by planting more trees, shrubs and flowering and fruiting plants in our gardens. There are plenty of small varieties that are perfect for small, urban, residential gardens. Even large shrubs can help provide cover and food for small garden birds who do not like to be out in the open. Tree planting season is November until the end of March for bare rooted trees. However you can plant throughout the year with containerised trees but they will need more watering and TLC to stop them from drying out in the warmer months. 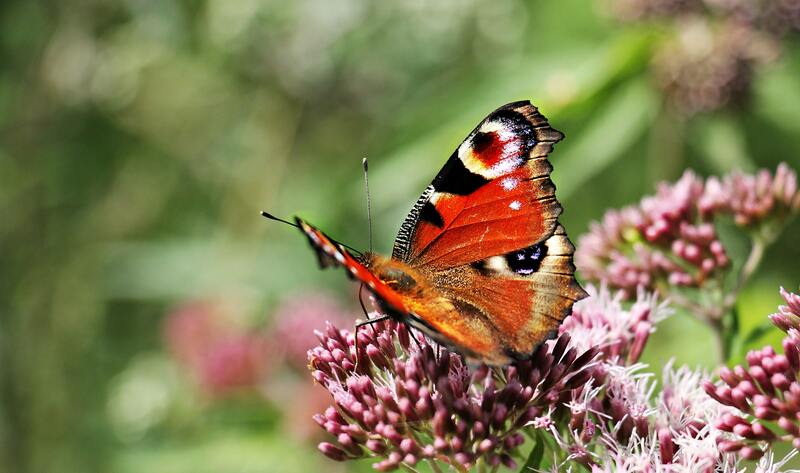 Below are some suggestions to plant in your garden, which will help support birds, insects and other wildlife, as well as looking good in your garden! These pretty trees are frequently seen in Greater Manchester, but many people do not know just how attractive to wildlife they really are. Their bright red berries are loved by blackbirds and starlings, as well as hosting aphids and sawflies, which are important food for chicks. One of the best varieties for small gardens is Sorbus 'Joseph Rock', with its stunning autumn orange colours in the autumn and vibrant yellow berries. If you want a red berried-version and need a small garden-sized tree, Sorbus 'Chinese Lace' only grows to 6m. This native British tree is loved by birds and insects alike, and the berries can also be made into hedgerow jam. It can work in a garden as it does not grow too large, and can also be planted as a hedge with other native fruiting trees such as Blackthorn. If you want to try a slightly different species, the Midland hawthorn (Cratagus laevigata) 'Paul's Scarlet' is a stunner in the spring with masses of double red flowers. Crab apples are another brilliant example of garden trees that are loved by both birds and humans. There are numerous varieties of crab apple that have white or pink blossom and keep their fruit throughout winter. Birds flock to feed on the fruits in the autumn and winter, particularly robins, starlings, greenfinches and thrushes. Our favourites include Malus 'Golden Hornet, with its yellow fruit that sit on the tree all winter, and Malus 'Gorgeous' which has a longlasting orange-red fruit. These spiky trees or shrubs attract song thrushes, robins, pigeons, blackbirds, fieldfares and redwings to feed on their bright red berries in the winter, when there is little else available. Only the female plants produce berries, and there must be a male plant nearby to ensure pollination. Holly bushes are easy to prune to keep relatively small for a residential garden. There are more than 400 varieties of holly, from golden-edged leaves to spineless leaves, so read the particulars of that plant before you buy and plant it in your garden. We like the Ilex aquifolium 'Silver Milkmaid', which has a cream and green variegated leaf, and red berries in autumn. This cultivar only grows to around 6m, so is perfect for a small garden. Remember to water your newly planted tree in well, especially during any dry periods throughout the summer. Now sit back and wait for the wildlife!